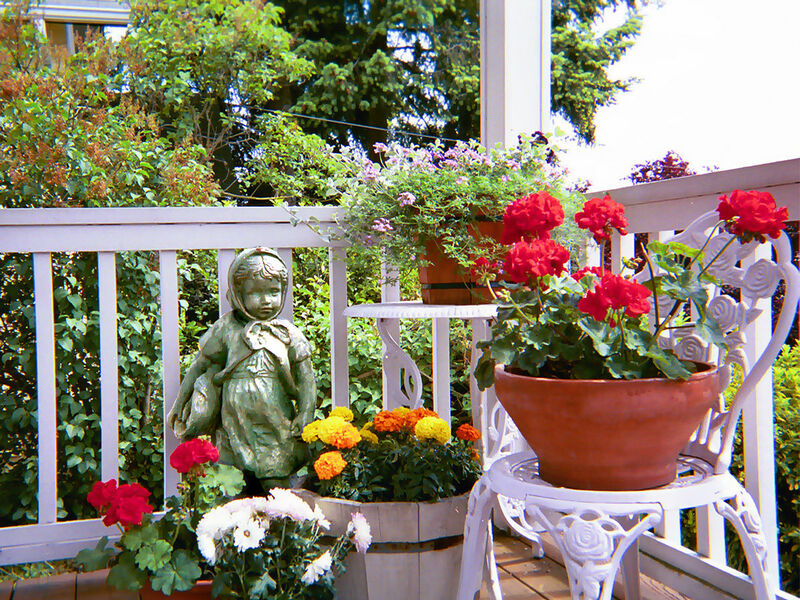 Container gardening is the easiest way to create a whole new look in your garden. There are just a few steps to achieving a successful mini-garden. Does it need to be move a lot? Is it going to be by the pool? Is it going to be under a window? Can the sprinklers water it regularly or will someone need to drag a hose to water the container garden. Which container do you need? Lucky for you, there are so many different containers on the market. Terra cotta, concrete, plastic, fiberglass, rubber, wood and metal containers are all beautiful. Remember the weight could be an issue and where will the container be placed. Can the container handle the temperature extremes of summer in Texas? Place something over the drainage hole to prevent it from clogging like a coffee filter or small stone. If the container is big, try using mulch in the bottom to make it lighter or rocks to make it heavier. Use good potting mix! The moisture control type with fertilizer already in it is a good choice. Be sure to finish the top of the container with mulch to reduce evaporation. When selecting the plants for your mixed container, read the plant labels and make sure that they all have the same watering needs and light requirements. Thriller – this plant will be taller than the rest and will be placed in the middle of the pot. Geraniums, ornamental peppers, snap dragons and fountain grasses are a few good examples. Filler – These plants will be shorter than your thriller and may fill the pot around the edges. Alyssum, blue daze, petunias and dusty miller are ones to consider. Spiller – These plants will drape down the sides of the container. Try ivy and sweet potato vine.